"Game Crash - Dropping a protector case crashes the game"
Next, provide insight into how you got your game to crash. Include as much information about what you were doing around the time the game crashed. Every little detail can help us fix the problem. 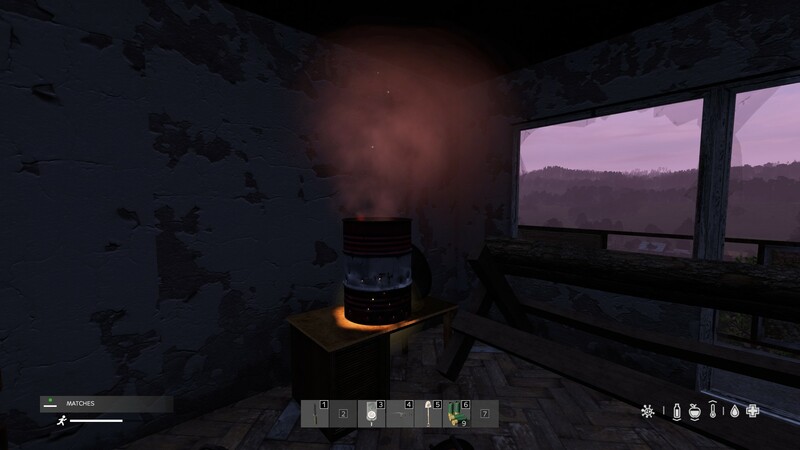 Remember to mention whether this happens on the stable or experimental branch of the game. "The game crashed when I dropped a protector case on the ground while playing on an experimental server. I had the protector case in my backpack and drag and dropped it into the vicinity window. The case contained a canteen and a pack of rice. I have tried this several times and it happens every time"
"Game crashed when I dropped a protector case"
Include steps to reproduce if you think that they are necessary and aren't obvious enough from the description. Always describe reproduction step by step. Don't forget to include the game's version (can be found in the main menu). Now for the most important part of all. We need you to upload a few files from your computer. Specifically, the crash dumps that are generated with every crash and the dxdiag report from your computer. Go to this file location: "C:\Users<Name>\AppData\Local"
There you should see a DayZ folder. Create a .zip or .rar file of that folder. Then take the .zip/.rar and the DxDiag file and upload them to the Feedback Tracker issue. You can do so by dragging/dropping your files into the Description text field for example. Use the "New DayZ Private Bug Report" form when sending us crash logs as they may contain personal data from your computer. jcebert123 created T138793: Game crashing after a few minutes of being in a server. DrDeSync created T138792: Spawn point leaves players trapped in rock. Relic77 added a comment to T137491: Fire Barrel lightning disappear when looking at it. Also fire barrels can't be moved. Same with Large Tents and Medium tents. proafet88 created T138787: Player Survivor: Signature check timed out. VladGm22 created T138786: PROBLEM: "kicked off by BattlEye: Client not responding". Denster created T138784: Server rubberbanding yoo-yoo lag. OZOMASTER created T138782: TrackIR unplayable - NO freelook key assign. Kathosky created T138781: Brightness slider not working. Any problems caused by mods, you need to ask the manufacturer of mods. Only they can provide information on corrections or deadlines. Visit the manufacturer's mods page, maybe there is some information there, or you need to tell them about the problem. Euclid created T138778: Loss of My Charcters Sounds. Euclid added a comment to T138774: Loss of Character Sounds. Same here dude, I don't know what's wrong. acewhittles created T138774: Loss of Character Sounds. apiix31 created T138773: client internet crash . Bananas created T138770: More and more Cheater on official Server!!!!. purekunn added a comment to T138340: 1.02 Stable - Can't refuel OLGA (video). Arkensor created T138767: ActionCloseFence.c copy paste error. vikk3 created T138766: Combination Locks & Base building. aaronlands created T138765: Side Stepping and Carry Objects Emits No Sound. Exivus added a comment to T138764: Logging into server from another PC, then back to original PC freezes game load on splash screen.. I think it has something to do with two PCs on the same network connecting to the same server. Perhaps the ports? This may not be a bug as much as it is not knowing what the appropriate instructions are for allowing two computer on the same LAN to connect to the same server. Exivus created T138764: Logging into server from another PC, then back to original PC freezes game load on splash screen..
A1exPit created T138763: the thing was soaked in water-resistant backpack. Arkensor updated the task description for T138760: VicinityObjects optimization. Arkensor created T138760: VicinityObjects optimization. RayCol added a comment to T138759: Server Maintenance deleted my large tent/campfire setup. RayCol created T138759: Server Maintenance deleted my large tent/campfire setup. ParanoiaLP edited Additional Information on T138758: Fences gone. ParanoiaLP created T138758: Fences gone. shoover80 added a comment to T138757: You were kicked off the game. (character locked in database). shoover80 created T138757: You were kicked off the game. (character locked in database). halfmoon added a comment to T138695: Issue encountered with loading ammo into any magazine. Geez merged T138730: Combination locks not working properly into T138570: Combination Lock breaks upon a server crash. Geez merged task T138730: Combination locks not working properly into T138570: Combination Lock breaks upon a server crash. five_seven_clown created T138751: Process exit report. Hvasshjorr created T138744: You can see barrels in water through tree branches . supermacro added a comment to T138160: Lights vanish when zooming or using scope. I can upload some footage showing the problem, if you're still having trouble reproducing this issue. The recording is with a flashlight at ~300m distance, zooming in with naked eye zoom, binoculars and an ACOG scope all causing the light source to apparently vanish (returning once vision returns to naked eye, unzoomed). apocalyptica created T138739: Random crashes. TJ_DA_K1NG added a comment to T138735: Magazine Bug.